Bhringa-raja, Brahmi, Amalakl (Amala), Shweta Chandana, Daru-haridra, Kamala (lotus), Ananta-mula, Ketaki, Jata-mamsi, Nilini (indigo), Ratan-jot, Gunja (white variety), Priyangu, Lodhra, Naga-kesara, Mushta (Nagar-motha), Bala, sesame oil, etc. It is like nectar for your hair; it cures untimely hair fall, dandruff, alopecia, premature graying of hair, etc. By applying this oil, hair becomes healthy & luxurious. As it is prepared with many celestial herbs, it also strengthens your eyes & brain, as well as cools the brain. 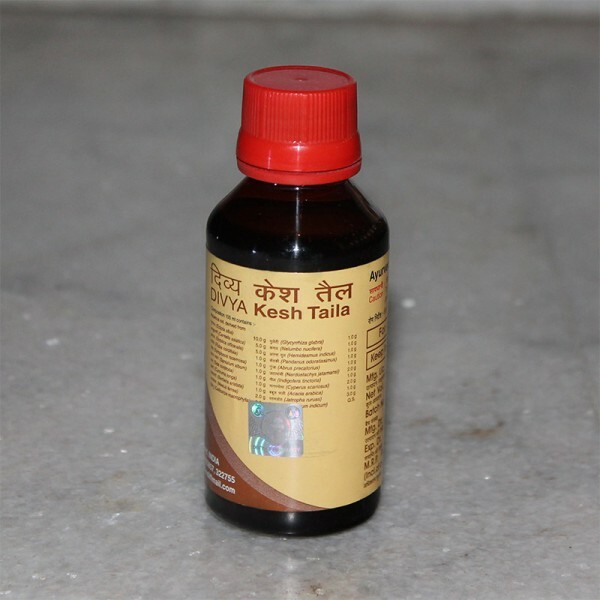 Also useful in headache & different types of head-diseases. Apply it to the hair roots, massage well. To have more effect it should not be washed out.